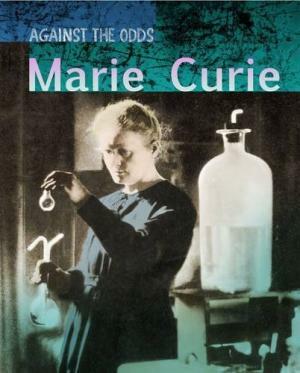 Marie faced life after Pierre Curie died with two children, more than just a touch of radiation exposure and a desire to use science to help all humanity but she also had a lot of non-science drama on the horizon. 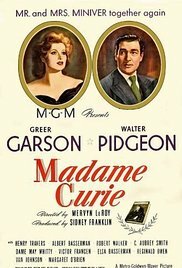 Brief recap: Polish born genius navigates an early life filled with heartache and challenges to pursue one of academics and science in Pre-WWI Paris. She finds love, builds a family and when her partner in love and work, Pierre, dies in a horrible accident everything seems to be crashing down on her. Details on Part One, you should go listen. Back in her Poland Manya days. 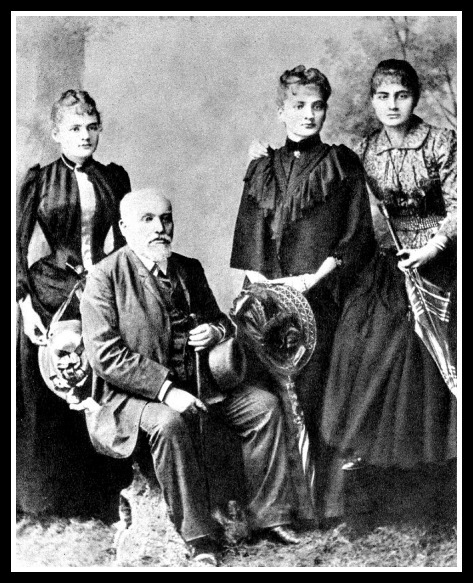 L-R: Manya, Papa, Bronya and poor, 2nd place Hela. 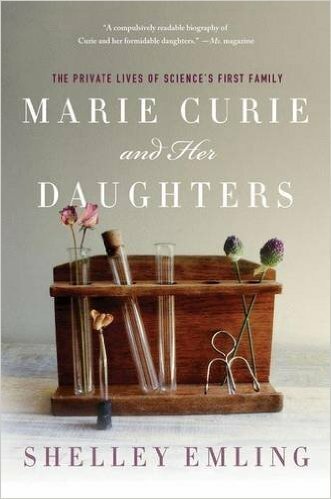 After Pierre died, Marie worked through her grief as best she could- she had two young daughters to raise and a lab to build so she continued her work discovering uses for radium, polonium and radioactivity. 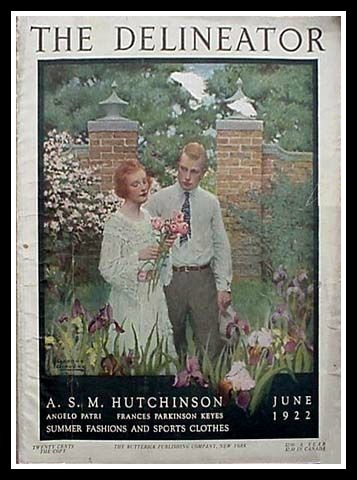 She relied heavily on Polish nannies and her father-in-law to help raise Irene and Eve, but was involved in their lives and guided their education in some pretty innovative ways. She also added “First PERSON to Earn Two Nobel Prizes” as well as, “Accused Family Wrecking, Husband Stealing Trollop” to her ever growing lists of life experiences. The first almost overshadowed by the second, we’re sorry to say. Marie, it seems, wasn’t all science all the time…and scandal like the one with her longtime peer- turned- more, Paul Langevin never stays quiet for long–especially with Madame Langevin’s feeding the media. 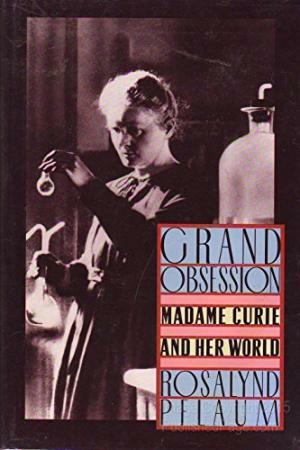 We cover all the details in the show, but Marie held her head high, weathered the harsh “boys will be boys, but women will be vilified” double standard, collected that second Nobel Prize and when it was suggested that she leave France and her professorship at the Sorbonne, she refused. 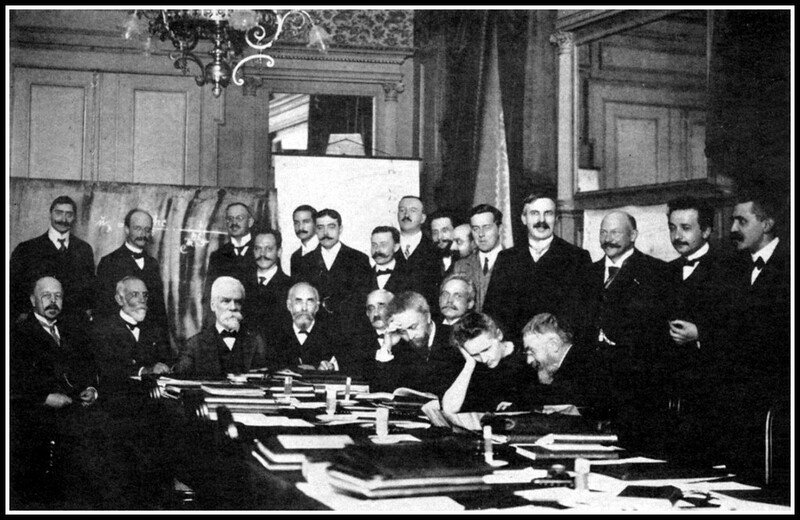 1911 Solvay Conference: Marie, only woman, Paul-standing far right next to Albert Einstein right–they were both REALLY there for science, contrary to what Madam Langvin suggested. And all of France should have been grateful that she stayed. 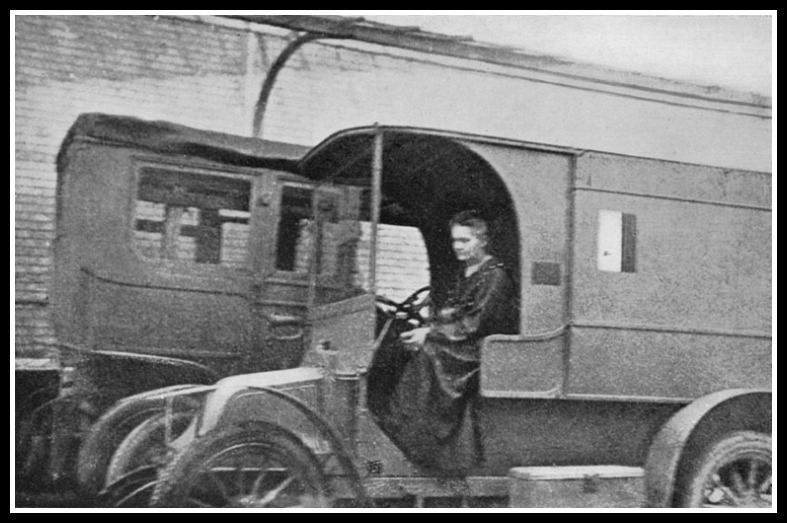 When World War 1 broke out in 1914, Marie saw a need and filled it. 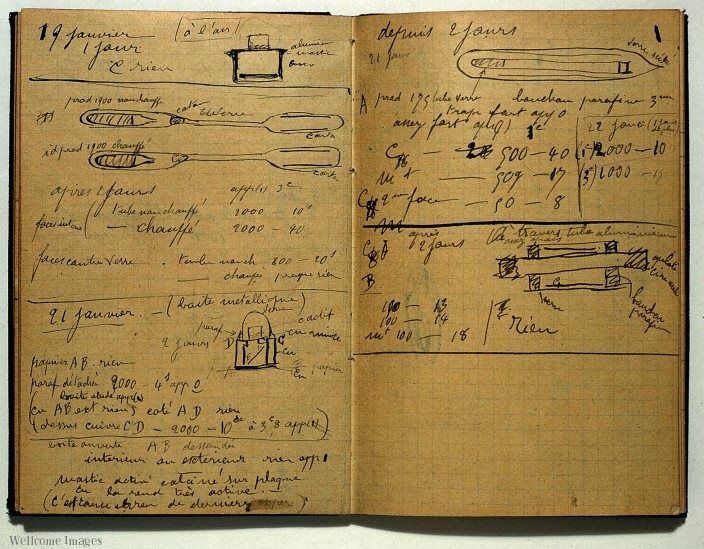 X-ray technology had come a long way and she knew that if medical teams on the battlefields had equipment to see where shrapnel, bullets or breaks were, lives could be saved. First medical X-ray, Wilhelm Rontgen’s wife’s hand with a fairly sizable ring! So she made mobile x-ray units. Yeah, just like that. Zut Alors! For the next four years she and Irene did their part for the war effort on battlefields and hospitals making sure people were trained in the use of the x-ray machines and getting the equipment to where it could help save lives. 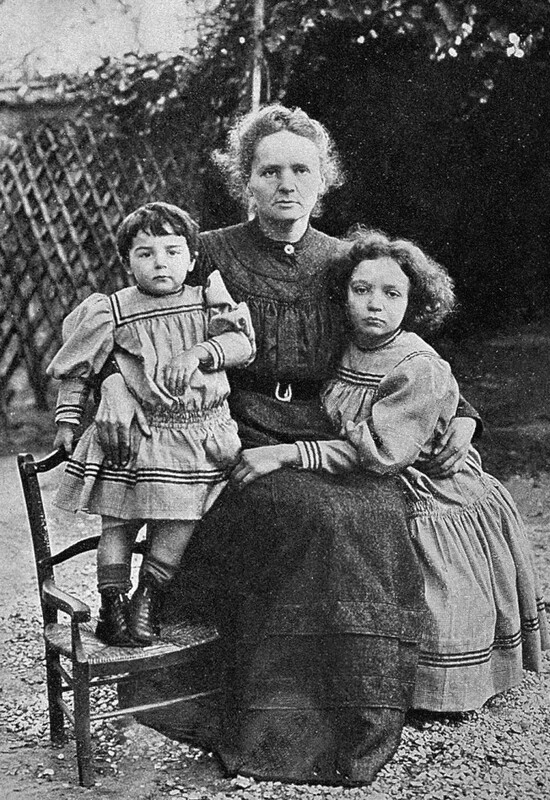 Marie at the wheel of a Little Curie. 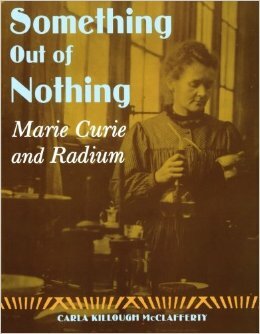 Once the war was over, Marie faced another challenge: to get back to her work she needed not only funding but more radium than France possessed. Enter Missy Meloney. 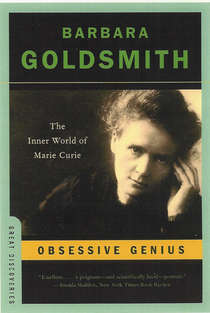 Missy was a journalist and editor but more importantly she was a big fan of Marie Curie. And she was very effective at organizing, getting sh*t done, and using the media to her advantage. 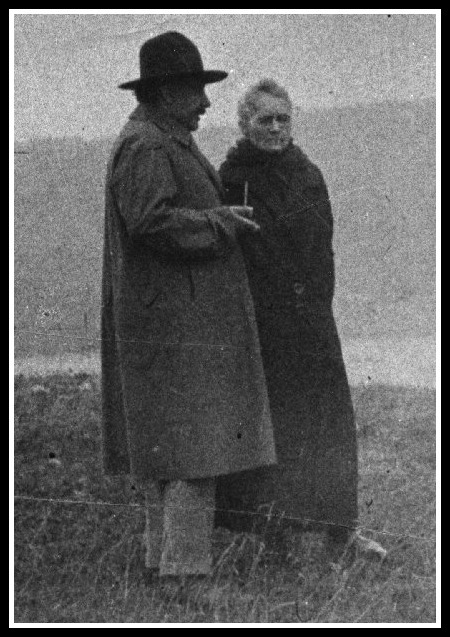 She also didn’t take no for an answer and convinced Marie that the women of America would fund her radium purchase and that the press Marie was suspicious of (and do you blame her?) would help. 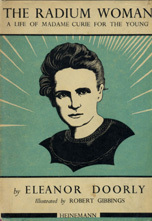 When both happened she got Marie–introverted, stay in the lab and out of the public eye Marie– to travel to the the United States to collect it. Missy’s magazine that helped raise money for science! And you thought it was just dresses and recipes…tsk tsk. All the exposure to radiation was taking its toll on Marie. Several times in her life, she had long term health problems that would sideline her and keep her from her work and her girls (probably in that order.) In addition to frequent bouts of depression, she had chronic fatigue and pain…but the thing that caused it was the very thing that she felt was her life mission. 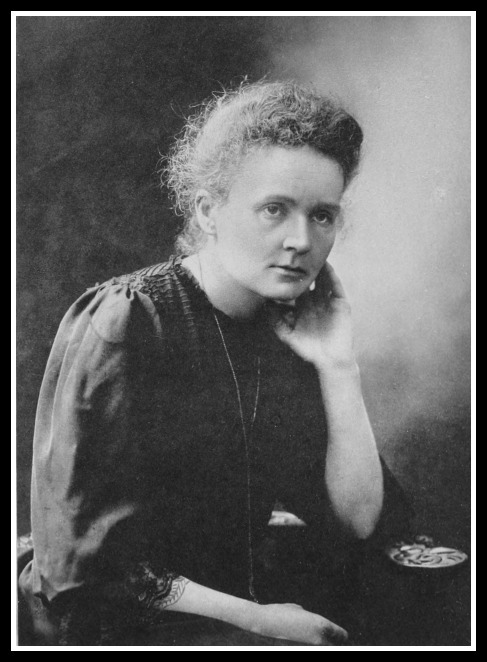 After more frequent and severe illness, on July 4, 1934, 67 year-old Marie Curie died of aplastic anemia caused by her long-term exposure to radiation. 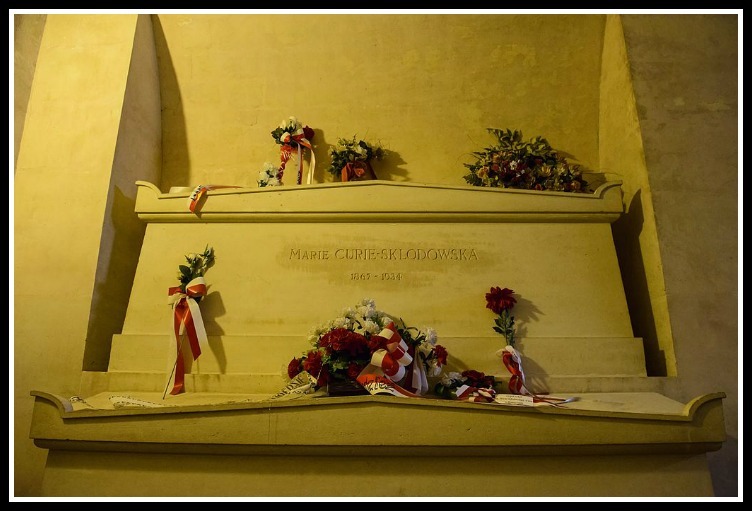 She was first buried with Pierre in his hometown of Sceaux, but in 1995 their bodies were both exhumed and re-interred in the Panthéon, France’s national mausoleum. Tests done on her ashes revealed that the cause of death was radiation, but more than likely not from the radium she spent her life working with, but the exposure to x-rays during the war. The Nobel Prize’s website contains bios of not only Marie but every Nobel Prize winner! Mrs. Alice McPherson donated her diamond engagement ring and fundraising snowballed from there and the Marie Curie Foundation began to provide care for people with cancer. Here is a fun online museum dedicated to Marie! If you would like to read a little more about the first X-ray in 1895, click that link. Marie’s papers are STILL radioactive 100 years later!!! Time for a musical break! The one neither of us could get through, and a really great documentary that we could. High school girls << heart >> Science! UNC girls talk math podcasts and website. 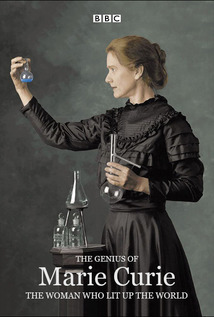 Not necessarily Marie Curie centered, but she approved! Probably. Let’s just leave you with something less…um…more…um…sciencey! End song: Marie Curie, by The Crypts! Find them and their music on their website! Marie Curie rose, lovely, non?